​​ HOUSTON AREA – Houston Realtors experienced the strongest January home sales ever in 2018. The Houston Association of Realtors (HAR) reported 4,469 single-family home sales in January 2018, up 8.9 percent from the 4,104 sales in January 2017. Housing inventory was unchanged from the 3.3-months supply in 2017. Housing inventory across the U.S. currently stands at a 3.2-months supply. The inventory of homes for sale is low, and that represents a seller’s market. The single-family home median price rose 3.8 percent to $218,000—the highest median ever for a January. The average price declined 2.1 percent to $270,303. The HAR sales report​ indicated a decrease in upper-end sales. Check out ​Greater Houston Area Market Report, courtesy Clarus MarketMetrics​, for cities from Alvin to Willis. 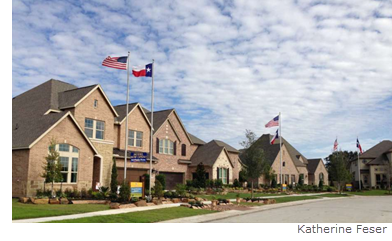 No registration here, just enjoy Houston-The Woodlands-Sugar Land Housing Market Research.